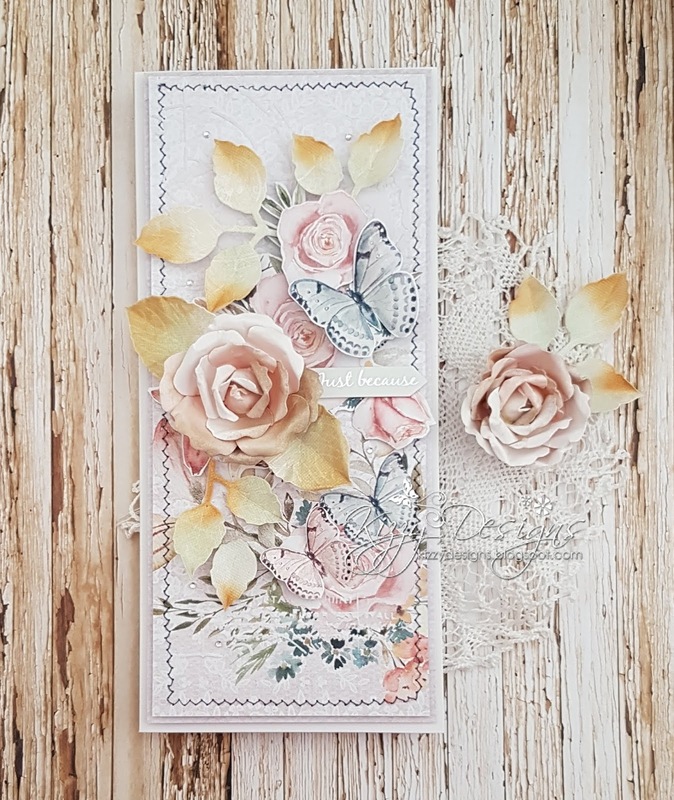 Morning - Tammy here with a card using Mintay Papers. 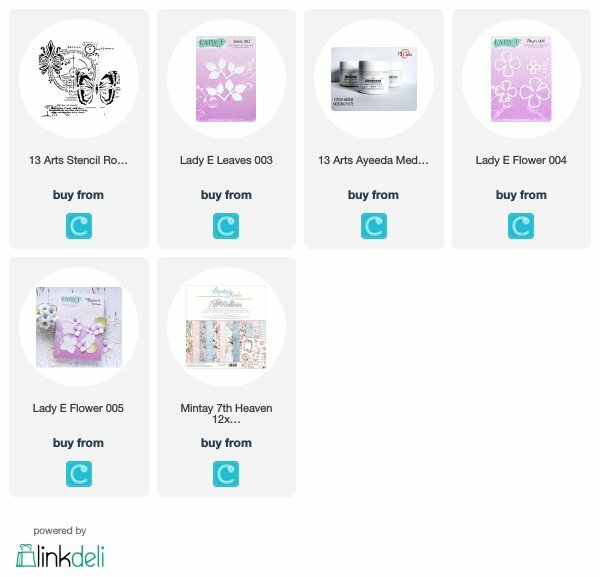 The 7th Heaven pad is my favorite, as I love roses and the soft colours. 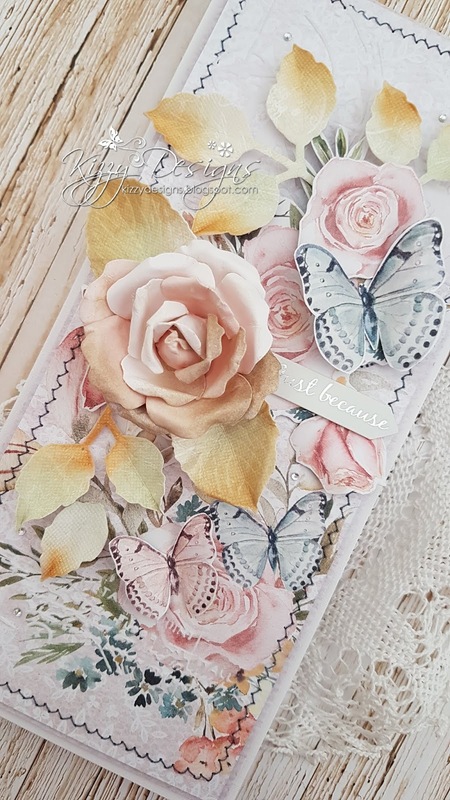 Adding handmade paper flowers and the stitching detail gives a perfect finish. 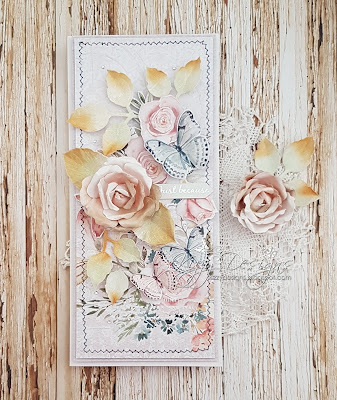 I've used Lady E dies for this rose and leaves, coloured with distressed inks. Spraying with a little water and creasing them at the edges. setting a side to dry before using silicone glue to layer on the card. The only detail you can't really see is the 13arts stencil that I have used on the backing paper. Shame as it looks lovely. Sentiment is from my own stash. Love how the card as turned out. Recipient will love this, I'm sure? Don't forget to enter our new challenge which is " lace ". Here is the list of products used. Happy Crafting.